The San Diego County Board of Supervisors voted Tuesday to accept a plan intended to accommodate a steep rise in the region’s senior population. 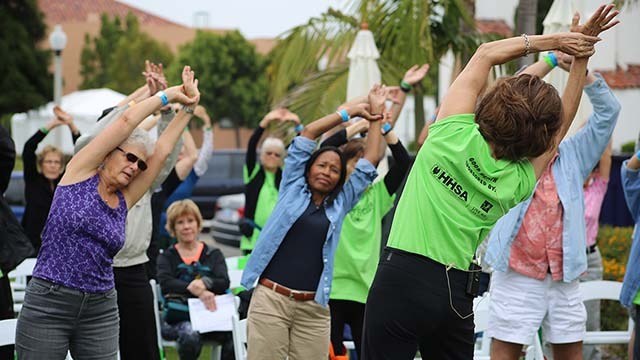 The five-year Age Well San Diego initiative merges provisions of the AARP Network of Age-Friendly Communities and Dementia Friendly America programs. The plan took two years to create with input from partner networks and community meetings. Officials will now carry out strategies over the next three years. In 2010, slightly more than 600,000 county residents were over 55, according to the county. That number is estimated to double to more than 1.2 million by the year 2030. To accommodate the county’s aging population, Age Well San Diego proposes improving transportation and community walkability, increasing affordable housing opportunities, increasing access to technology, expanding intergenerational programs and working with the Alzheimer’s Project to ensure dementia-friendly environments. County officials are expected to work with the AARP, San Diego Foundation and various community groups moving forward.